BATON ROUGE, Louisiana, October 26, 2016 (ENS) – Warning that time has run out for repairing Louisiana’s eroding coastline, Governor John Bel Edwards, a Democrat, this week challenged coastal leaders to restore 20,000 acres of wetlands by 2020. 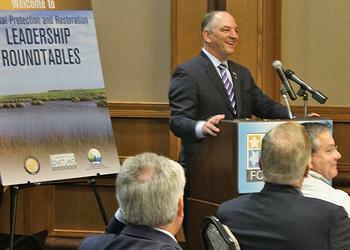 Tuesday in Baton Rouge Governor Edwards opened the second of two leadership roundtables hosted by the America’s Wetland Foundation and the state’s Coastal Protection and Restoration Authority, with a focus on financing the state’s Master Plan for coastal restoration and protection. 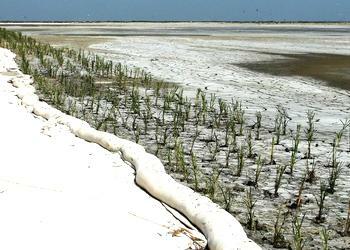 Louisiana has the largest expanse of coastal wetlands in the United States but is losing those wetlands to erosion and subsidence at a rate of about 29 square miles a year. To combat this rapid coastal land loss, the state of Louisiana created a Coastal Master Plan for restoration and flood protection in 2007, with updates due every five years. The leadership roundtables precede the announcement of a 2017 updated Master Plan for coastal restoration and protection to be considered by the Louisiana Legislature and a December 7 Summit on the National Implications of Louisiana’s Coastal Master Plan. The CPRA and America’s Wetland Foundation joined forces for the two-day series of discussions on finding common ground, adapting on the path to implementation, and moving past barriers to resolve issues like fresh water and sediment diversions and the future of coastal communities. The governor said he is intent on protecting the money the state now has for coastal restoration. “I ended the practice of using the Coastal Trust Fund as a pass through to free up one-time dollars for the state’s budget and we successfully worked through a number of bills during the regular session that took aim at the statutorily dedicated mineral revenues of the coastal program,” Edwards said. “I look forward to the summit on December 7 that will focus on some of the creative ideas for funding and implementing our restoration program that have been discussed during the past two days,” he said. Louisiana’s three million acres of wetlands are lost at the rate about 75 square kilometers annually, according to the U.S. Geological Survey, USGS, but reducing these losses is proving to be difficult and costly. “The swamps and marshes of coastal Louisiana are among the nation’s most fragile and valuable wetlands, vital not only to recreational and agricultural interests but also the state’s more than $1 billion per year seafood industry. The staggering annual losses of wetlands in Louisiana are caused by human activity as well as natural processes,” explains S. Jeffress Williams of the USGS. The current edition of the Master Plan consists of 109 different restoration projects across the Louisiana coast including sediment diversions, hydrologic restoration, barrier island restoration, marsh creation, ridge restoration, bank stabilization, shoreline protection, and oyster reef creation. CPRA chairman Johnny Bradberry said he plans to immediately implement some of the recommendations from the two days of sessions, including determining if a declaration of emergency is possible for Louisiana in light of dramatic land loss and consequences. Bradberry said the CPRA will assess new options to raise funds by carving out a demonstration project for private financing and reviewing the procurement process. Adam Davis of Ecosystem Investment Partners, which establishes venture capital projects to attract private capital, said that a restoration industry has emerged and exists today with 2,000 mitigation banks, which have recovered thousands of acres through ecological restoration. Citing lessons learned from past attempts, Bradberry said he intends to establish rationales for a 2017 legislative agenda and adjust his agency to fit with the strategies and priorities of a new master plan. The Baton Rouge sessions were held in cooperation with: the National Wildlife Federation, National Audubon Society, Environmental Defense Fund, the Mississippi River Delta Coalition, the Louisiana Nature Conservancy, the Coalition to Restore Coastal Louisiana, Restore or Retreat, and the Louisiana Offshore Terminal Authority. The events are being made possible through the financial support of Entergy, Shell, Chevron, ConocoPhillips, Ducks Unlimited and Louisiana Sea Grant. Today, Governor Edwards will be joined by State Representatives Tanner Magee, Stephanie Hilferty and Jerome Zeringue on a bipartisan, two-day trip to tour Louisiana’s coast and visit offshore oil and gas exploration and production facilities in the Gulf of Mexico. Tomorrow, the group will fly over coastal Louisiana and meet with CPRA officials to discuss the state’s master plan to restore the eroding coast. 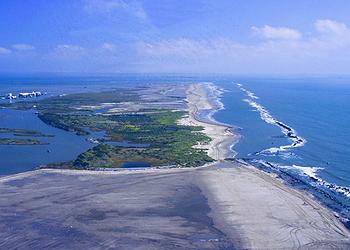 On Friday, the group will visit two offshore oil platforms in the Gulf of Mexico to discuss the offshore industry. Following tomorrow’s coastal flyover, Edwards and the delegation will participate in an Offshore Energy Industry Roundtable in Port Fourchon.